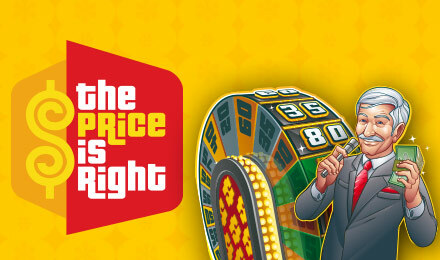 The Price is Right Slots | Come on down! The Price is Right has loads of bonuses and fun features that will leave you wanting more! Now's your chance to see what it's like to be on the hit TV show. Good luck! Ever wanted to be on the popular show the Price is Right? You may not be on TV, but you can get real close when you play the Price is Right Slots. Come on down! The Host is the Wild symbol, and if 3 appear on reels 2 to 4, your Mini Game feature will begin. There are 2 additional bonuses to choose from here: the Secret X or Cliff Hangers. The game logo is your Scatter, and it will trigger the Showcase Bonus when you spin them on reels 1, 2 and 3. This game is packed with bonuses!